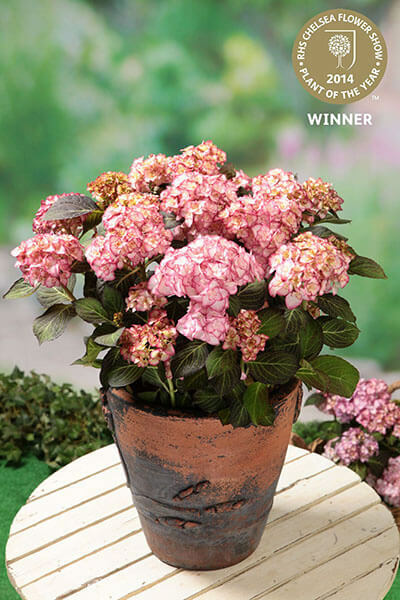 The particularly beautiful Miss Saori Hydrangea was presented as a debutante at the RHS Chelsey Flower Show and won the title “2014 Chelsea Plant of the Year.” Herewith, Saori was declared the best of 40 entries. 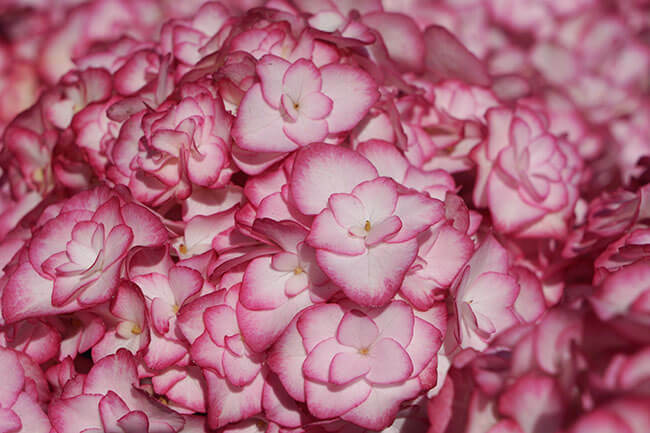 This prestigious title was awarded because of the vivid colors and special qualities of this Hydrangea. The double-petaled, sterile flowers have deep rose margins. 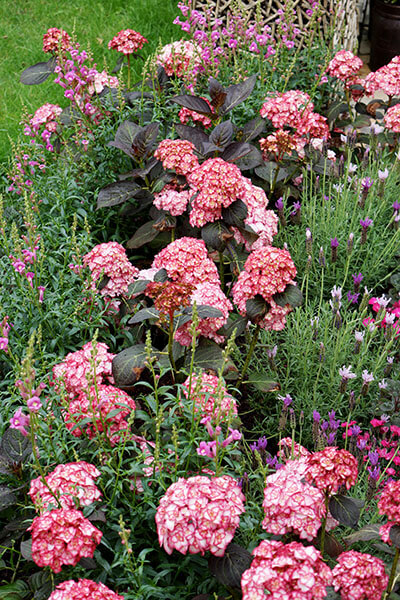 This color softens to white in the centre and forms a nice contrast with the dark foliage that turns burgundy in spring and autumn. Saori has a long flowering period that starts in June. 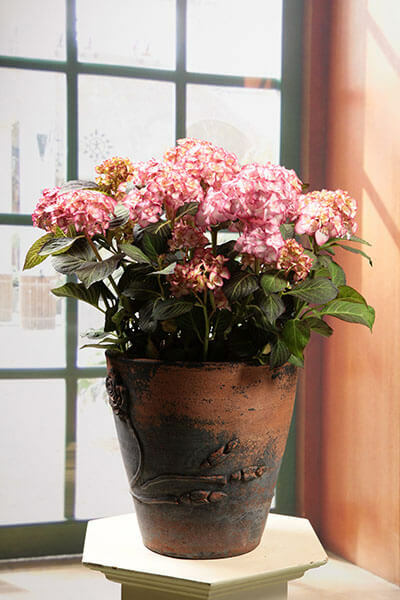 Flowers even on first year wood and becomes 40″ x 40″. 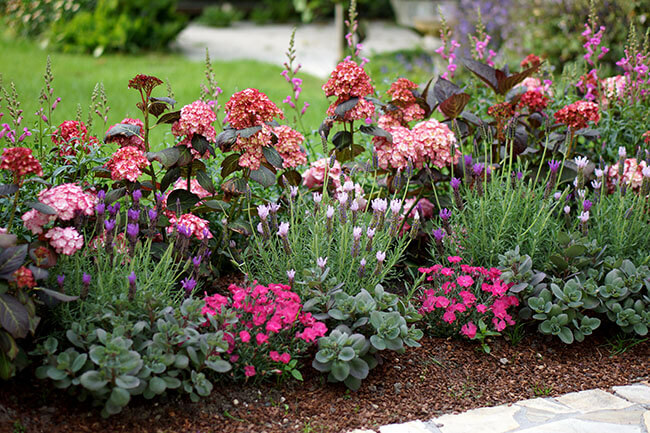 The ideal location is in full sun or semi-shade. 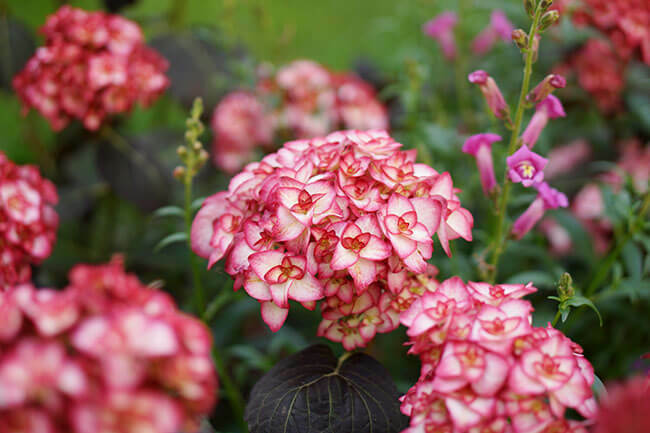 Beautiful in borders or containers, but also excellent as a cut flower. This winner is hardy to USDA zone 5a.